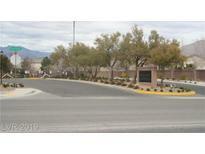 Below you can view all the homes for sale in the Centennial Point subdivision located in Las Vegas Nevada. Listings in Centennial Point are updated daily from data we receive from the Las Vegas multiple listing service. To learn more about any of these homes or to receive custom notifications when a new property is listed for sale in Centennial Point, give us a call at 702-930-8014. Fantastic 3 bedroom home PLUS Loft in the beautiful Northwest Las Vegas*Gated Community with Community Park*Large backyard*Beautiful floors throughout downstairs & Epoxy flooring in garage with its own AC unit*Minutes away from Sky Canyon and Providence with only 1 HOA Fee! MLS#2084357. Realty ONE Group, Inc. Very easy to schedule a showing. Make an offer! MLS#2077816. eXp Realty. EZ to maintain LS with MASSIVE covered back patio! ! MLS#2077945. Maxim Properties. Beautiful home,upgraded ceiling fans through out,upgraded entry foyer lighting,custom family room wall surround sound speaker & wall mount 40 inch TV in family room all appliances & water conditioner system AS IS condition.Granite counter tops,new back splash,new wi-fi garage door & opener replace 6 months ago,water heater replace 2 years ago,10K new backyard,solar screens,master bdrm designer wall & balcony,blinds & window coverings throughout MLS#2077036. Monticello Realty LLC. Oversized Master suite separate from others. MLS#2068905. King Realty Group. Convenient to freeways, schools, shopping, restaurants, & more! MLS#2065428. American Realty Properties LLC. You will want to see this home ASAP because it will not last, check the comparables out yourself! MLS#2064814. Urban Nest Realty.